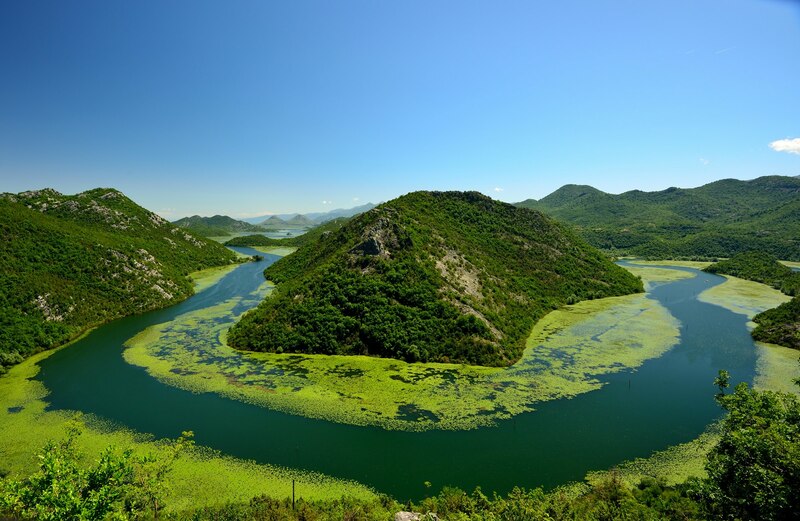 Black Lake (Montenegrin: Crno jezero) is a lake in the Municipality of Žabljak in northern Montenegro. 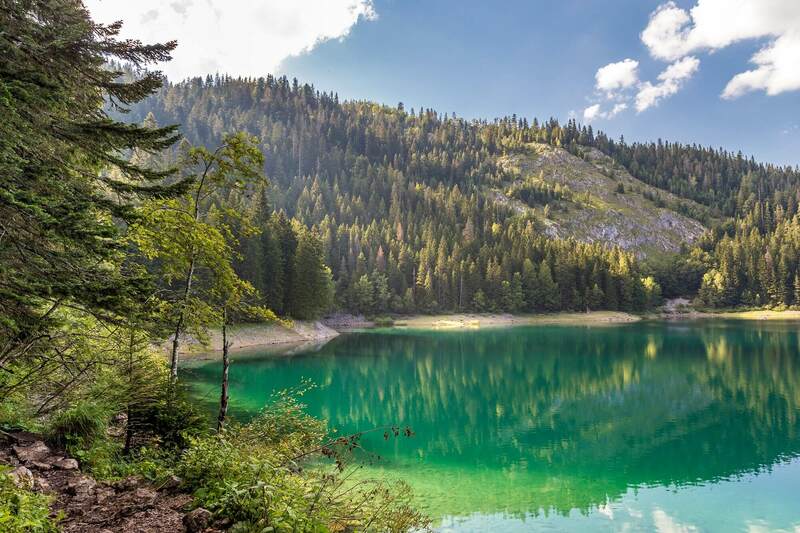 It is a glacial lake, located on Mount Durmitor, at an elevation of 1,416 m. It is 3 km from the town of Žabljak. Rijeka Crnojevića (Cyrillic: Ријека Црнојевића) is a city settlement in Montenegro beside the river of Crnojević - near the coast of Skadar lake. It is part of Old Royal Capital Cetinje. The Ottomans captured Žabljak Crnojevića in 1478 after they defeated main army of Ivan Crnojević late in 1477 or early 1478. Ivan moved his seat to Obod (fortified by him in 1475) which was soon renamed to Rijeka Crnojevića and became a new capitol of his state. With 300 citizens, Rijeka Crnojevića was the seat of Riječka nahija.